Attention all job hunters who are ready to kick your job search into high gear and land the job you want quickly and efficiently! Finally! A simple step-by-step, easy-to-follow system guaranteed to SHORTEN your job search and LAND YOU THE JOB YOU WANT… faster, more efficiently, and without frustration! An acclaimed career marketing expert shows you exactly what steps to take RIGHT NOW (plus reveals the simple secrets for a successful job search that no one else is telling you!) that will guarantee you a fast, easy, and successful job search that will land you the job you want in HALF the time! 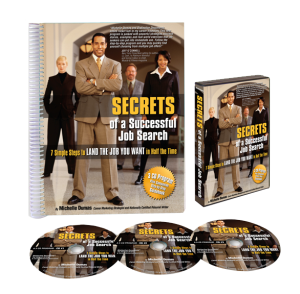 Click Here to Get Access to Secrets of a Successful Job Search Now! Does it seem like you have been job searching forever? Are you beginning to wonder if there will ever be a successful end to your current job search? Are you ready to move forward in your career but feel stuck because you aren’t quite sure what to do first? Do you find yourself procrastinating in even launching your job search because you dread the time-consuming work it will take and the feelings of frustration and rejection that are certain to come with it? …so that you can end the frustration, eliminate the stress, and turn the time-consuming struggle into fast and easy job search SUCCESS? I understand completely! With nearly two decades of experience working with many thousands of job hunters I have heard the stories of frustration and anguish over and over again! If you are like most people, you find job searching stressful! Conducting a job search is simply no fun and it can be pure anguish when the days turn into weeks and the weeks turn into months, and still you seem no closer to landing the job you want! And, of course, as time passes and the job offers still don’t come, the financial pressure begins to mount. It is at this point that many people begin to feel desperate, alone, and very afraid. Conducting a fast, successful, and stress-free job search is much easier than you may think! I knew there had to be a better way! Every year in my business, I come into contact with thousands and thousands of job hunters. I wanted to help them – to take away that stress and to give them an easy, proven system that would dramatically shorten their time in the job search and let them get back to work faster in jobs that were more personally, professionally, and financially rewarding. So, over the past 17 years, I have made it my mission to learn everything I could about job searching and career marketing. I’ve poured over articles, books, and websites, I’ve attended numerous seminars and conferences, I’ve completed many training and certification programs, and I’ve “test-driven” various job search tools and products. But still, I never quite found the step-by-step integrated system I was looking for. One that would take my clients from start to finish, smoothly and successfully guiding them through the entire job search process. To share with you EVERYTHING I have learned about job searching and career marketing over the past decade-plus. But more importantly, to do so in a simple, stress-free, step-by-step system that will guide you quickly, smoothly, and successfully through each phase of your job search – from the initial step of setting your job target to the final steps of negotiating multiple job offers and landing the job you want. "Michelle Dumas and Distinctive Documents added rocket fuel to my career trajectory. This new program is packed with powerful strategies, success stories, examples, and real-world exercises that job seekers can put into immediate use. Follow the step-by-step program and you may quickly find yourself choosing from multiple job offers!" Now online and accessible 24/7, to be put to use today and right from your own computer, to give your job search the immediate boost that it needs! Includes nearly 3 hours of audio recordings that you can download to your MP3 player or listen to right from your computer. Also included is a valuable, informative, and beautifully designed 110+-page downloadable companion workbook and worksheets, along with extra tips and links for job search resources added regularly as Michelle finds them. With immediate access to the program, you will have everything you need to jumpstart your job search today. Why do so many job hunters struggle in job searches that are long, inefficient, and unproductive? It is better to cast a broad net in your job search, not setting a precise job target, so that you don’t cut yourself off from opportunities. You and you alone control the destiny of your career. Don’t expect a busy employer to try to figure out where you fit in their company. You need to tell them and promote yourself as the answer to their needs. A well-defined job target will guide you in your entire job search and will position you for uncompromising success. The concept of branding can be easily adapted to distinguish you and give you a huge competitive advantage over your rivals in the job market. The concept of personal branding has been a revolution in the job-search process. Personal branding will set you apart from your peers and establish you as a valuable commodity in the job market. Establishing your brand and value proposition will be the essential cornerstone and foundation for your successful job search. Taking the time to plan a job search campaign is a waste of time. You should just buckle down and get to it. The more ads you answer the faster you’ll be successful. Job searching does not have to be complicated, but without a plan and written goals you are almost certain to double the time you spend searching. Did you know that over 80% of all jobs aren’t even advertised? How are you going to tap into them? A multi-pronged job search strategy– one that includes multiple techniques prioritized by effectiveness and a clear plan for consistent follow up – is essential. A resume should be a listing of all of your job experience, the responsibilities you have held in the past, and education. A resume should never be longer than one page. 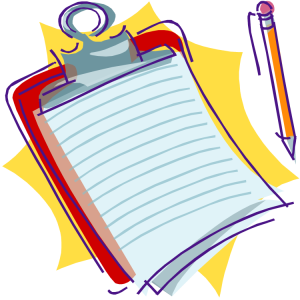 A resume is a marketing document – a document meant to sell the ultimate product – YOU! At its very core, a job search is a personal sales and marketing campaign and it essential that you begin to look at it that way. Like any good marketing piece, your resume should be benefits focused with documented achievements and results to illustrate your value proposition. You only have one chance to make a good first impression. Don’t blow it! Preparing in advance for interviews is impossible. There is no way to be prepared for the multitude of questions that may be asked. Interviews are the culmination and the objective of all your job search activities. Now isn’t the time to just sit back and let what happen will. You need to prepare and stay competitive. There are relatively simple techniques that you can use to prepare for interviews, so that you will really shine, feel confident, engage in conversation, and paint a picture in the interviewer’s mind of exactly why you are the best-qualified candidate to meet their needs and solve their problems. My comprehensive, step-by-step program "Secrets of a Successful Job Search" will reveal to you a simple-to-follow, quick-and-easy way to land the job you want in half the time (or even less)! Drawing on a wealth of knowledge developed over more than a decade of experience working with thousands of job seekers, I have poured out everything I know in "Secrets of a Successful Job Search." I hold nothing back and give it all to you in this one-of-a-kind, no-holds-barred program that will guide you step-by-step through every phase of the job search start-to-finish. You will benefit from my guidance and straight-to-the-point tips throughout your job search and throughout your entire career -- because this is a system and strategies that you can use over and over again to advance and promote your career faster than you ever thought possible. I have helped many, many people shorten their job searches, promote and advance their careers, command higher salaries, and win the jobs of their dreams. I've worked with new college graduates, blue-collar workers, professionals, managers, and top executives and leaders from many of the world's most powerful corporations. I've had clients successfully make dramatic career changes, report job-search results that are 10-fold their highest expectations, skip multiple rungs on the way up the corporate ladder, and win compensation that has TRIPLED their earnings. I absolutely LOVE hearing about results like these and I am so excited to get this information to you so that you too can benefit and experience job search results that exceed your expectations. "I have sent many of my clients to Michelle over the years, and every one of them has reported high satisfaction and excellent results. Now, Michelle has put together an outstanding step-by-step, multi-pronged system for conducting a professional job search. This program is filled with strategies and tactics you can put to work today. It gets right to the point, cuts through all the clutter, and teaches you exactly how to launch and conduct a fast, effective job search"
Turn up your speakers as you begin the first audio recording, follow along in the workbook completing each of the easy-to-finish exercises presented in an organized, efficient, and simple-to-understand way, and before you know it your job search will be rolling along with a momentum that won't stop until you land the job you are targeting. A simple, effortless way to regain control of your career and set and define an immediate job target and long-term career vision that will guide your career now and into the future. The keys to making sure you stay on track, to prioritizing and focusing your search, to identifying and locating the people you need to network with, and to pinpointing the companies you should target. The 4 crucial questions that you must answer to identify and clearly define a job target and identify companies whose culture, people, and values are most closely aligned to yours. Real-life examples and professional secrets to making a name for yourself as a leader in your field -- changing the job search dynamics so that youbecome HUNTED rather than being the HUNTER. The 3 most important things that you MUST know to finally distinguish yourself from your peers, to pull ahead of the pack, and to position yourself for both IMMEDIATE and LONG-TERM career success. An easy-to-implement insider technique to gain competitive advantage by clarifying and communicating what makes you and your unique value proposition different and special in the workplace. A step-by-step, straight-to-the-point formula that will walk you through how to create your own Personal Brand Statement to serve as the foundation and the cornerstone of your successful job search. The top 5 job search approaches with a new twist that makes it simple and easy to sort through your options, prioritize them by effectiveness, and develop a highly effective, job-winning multi-pronged job search strategy and plan. A gold mine of 84 time-tested and cutting-edge job search techniques organized in an exclusive, simple-to-follow way that will keep you focused on the highest return activities. Expert secrets revealed in a blueprint that helps you each step of the way in setting your job search goals and creating a job search campaign plan that will keep you moving forward, motivated, and successful. Timeless information, proven strategies, and fresh approaches that are guaranteed to jumpstart your job search and have you accessing the hidden job market (did you know that 80% of jobs are never even advertised?!) within hours. How to get and stay organized throughout the 4 key phases of your job search, establishing your job search headquarters and putting an easy-to-use 9-component system into place to speed you efficiently through each phase of the job search. 2 essential steps you MUST take to keep your job search private and avoid mixing your personal business with the business of your current employer. Multiple checklists and clearly explained exercises that will show you exactly how to eliminate the habits that are holding you back so that you can move forward confidently in your job search and throughout your career. Why your follow-up system may be one of the most important things you do in your job search and tips to help you set up a simple and easy-to-maintain tracking system that will enable you to easily and efficiently stay on top of the 7 most crucial areas of your search needing follow up. The closely guarded professional secrets to transforming your resume into a powerful and effective personal marketing document that positions you above the competition and clearly and concisely conveys your true value in the workplace. Everything that you need to know about all of the traditional and the cutting-edge trends in the development of your career marketing portfolio: how to choose between the 3 major resume formats, a 15-point checklist to ensure your resume is top-notch, a 9-point checklist to evaluate your cover letter effectiveness, and much, much more. I hold nothing back! A behind-the-scenes look at all the differences and uses for all of the pieces of your career marketing portfolio: resumes, cover letters, biographies, networking resumes, achievement profiles, references dossiers, and more. Step-by-step, simple-to-follow instructions that show you exactly how to easily identify your most valuable achievements (even if you have had trouble with this crucial step in the past and think you don't have any to share!) and then how to reconstruct them into concise success stories complete with the challenge faced, the actions you took, and the result. Tips for adopting a "failure is not an option" attitude and a clear explanation of the 1 major thing you must do and the 8 questions you must ask on a regular basis to keep yourself motivated and accountable -- maintaining your momentum until you achieve the ultimate success. The 5 things that you need to know about the interviewer's goals so that you can shine and feel confident in interviews, and dozens of tips to help you engage in a conversation and paint a picture in the mind of the interviewer that will leave no doubt that YOU are the perfect candidate to meet their needs and solve their problems. An ingenious, fresh approach and easy-to-follow techniques to quickly and efficiently prepare for almost any question you might be asked in an interviews, along with straightforward tips to effectively turn an understanding of the interviewers' motivation to your advantage. Dozens and dozens of other bonus tips and secrets to help you negotiate a higher salary, to handle a request for references professionally, to create the various formats of resumes you might need (including all the formats that you MUST HAVE for an Internet job search), and to use email effectively in your search. And bonus sample resumes and cover letters clearly illustrated and diagrammed to explain the powerful tips and tricks included to ensure your resume conveys your personal brand and establishes competitive advantage in the job market. How much does it COST YOU daily to be underemployed? To be unemployed? How much would it be WORTH TO YOU if we could shorten that time by even a couple of weeks? By even a single day? Imagine for a moment that you have been toiling away in a job paying you $70,000 a year. You know you are worth more, and you have your eye on a job – a promotion – for which you would be paid $95,000. That’s a $25,000 difference. An increase of over $2,080 per month. But, because you didn't feel confident...you weren't certain of exactly how to pursue it...you procrastinated. The next time you heard, the position was filled. You lost out on the opportunity. Maybe forever. So, can I ask you again? How much does it cost YOU to be underemployed? But a $25,000 increase is moderate. It is not AT ALL uncommon for clients to come back telling me about increases of $30,000, $40,000, even $50,000 and more. But what if you are currently unemployed? Let’s imagine for a moment that in your last job you were, again, earning $70,000. Now, unemployed, every day counts. Each week of unemployment you lose $1,346. Every single weekday represents $269 in lost wages. 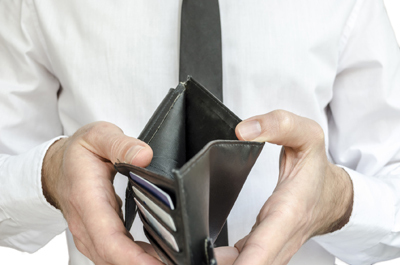 So, how much is it costing YOU to be unemployed? How much would it be worth to you if I could shorten your job search by just a couple of weeks? By a few days? Of course, for many people, this return on investment would be MUCH higher. Okay. So what is the bottom-line?! Once you know the secrets and the powerful system that I teach in this program, you can use them beginning RIGHT NOW to kick your job search into high gear, to generate both the high quantity and the high quality of responses to your resume that you want, and to land the job you want and get back to work faster than you ever thought possible. But even better, you can use these secrets and powerful system over and over again, to progress and advance your career, to win promotions ahead of your peers and your competition, to confidently move forward in your career because you know your true value in the job market and you aren't afraid to leverage it, and to negotiate compensation that is higher than you ever expected. Finally, to get paid what you are worth! This isn't one of those programs where you'll work through it and feel overwhelmed or still not have a clue how to proceed. That isn't my style! I make things simple. Straightforward. I don't hold anything back and you'll hear me give you valuable information gleaned from well over a decade of experience working with job hunters. But I have organized it into 7 easy, simple-to-follow steps that will get you back into the game today! It is like having me as your own personal job search coach, but at only a tiny fraction of the cost! This product retails for $127! A figure that is well worth it when you consider how much it actually costs you daily to be unemployed or underemployed. In the example above, I showed you how it is costing you $267 every single unemployed day. The math and the payback is simple! If this program shortens your job search by just 6 hours it has more than paid for itself! But, to celebrate the release of the program in digital format, I am making the product available for a LIMITED-TIME LOW PRICE of just $77. You may never see the price this low EVER AGAIN. I may never repeat this ULTRA-LOW LIMITED-TIME PRICE again. Don't miss out! Here is what you will get. Immediate online access to all the audio and files that make up the Secrets of a Successful Job Search program (downloadable audio, workbook, transcript, tips, exercises, worksheets, and bonuses). Additional links to important websites and online resources regularly updated by Michelle. Nearly 3 hours of professionally recorded audio covering each of the 7 steps that will land you the job YOU want in half the time! The audio portion of the program is recorded in a conversational style that will make you feel like you are right here with me, asking all of the burning questions you have! Beautifully designed companion workbook with over 110 pages of valuable information detailing my powerful system and designed to make it easy for you to follow along and to put the information to work for your benefit NOW! You can read this online, save it to your hard drive to read later, or print it to have at your fingertips at all times. Full written, word-for-word transcript of the nearly 3 hours of interviews in which I reveal over a decade of experience and all of the secrets and tips that I know to make your job search fast and wildly successful. Again, you can read this online, save it to your hard drive to read later, or print it to have at your fingertips at all times. Dozens and dozens of bonus tips, exercises, worksheets, templates, and sample resumes and cover letters to ensure that you can put this information into action IMMEDIATELY! My personal GUARANTEE that your purchase is 100% risk free. If you don't agree that by the end of this audio program you do not know the 7 simple steps that you need to follow to conduct a fast, successful job search, simply tell me, return the program, and I will refund your purchase out of my own pocket. Guaranteed! I have included EVERYTHING you need to achieve a fast, successful job search! "You know you are dealing with a professional when the advice you are getting is not just clear, crisp, and comprehensive, but is also delivered with a focus on real-world practicality. Michelle's new program meets that criteria from start to finish!" I believe in you and I KNOW that my simple, stress-free, results-proven system will work for you - helping you dramatically shorten your job search, achieve extraordinary competitive advantage in the job market, and land the job YOU WANT in half the time! Still not quite sure? Remember, you can take advantage of this valuable information now and make up your mind later. With my 100% money-back guarantee there is absolutely no way you can lose! Are you ready to get started and kick your job search into high gear? Do you still have questions? Call me at 800-644-9694 or send me an email. P.S. The sooner you get your hands on this program, the sooner you will land the job you have been dreaming about. There is no risk to you at all. You have nothing to lose. 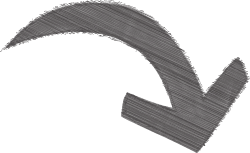 Copyright © 2007-2014, Distinctive Career Services, LLC.